Together was a challenge for me because, although I have 1,978,602 photos of people “together”, there aren’t many that are prize-winning photos to anyone but me. And they are only prize-winning to me because the subjects are the people I love. So I chose a few that I thought were fun or interesting, even if you don’t know the people. “Mama, guess what we are! 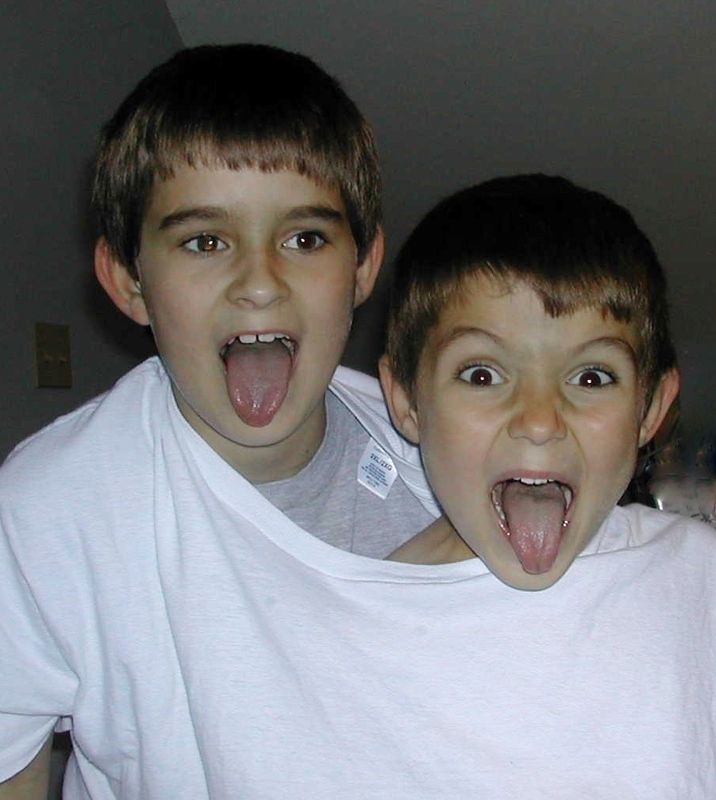 We’re a two-headed t-shirt monster!” My sons wearing one of MacGyver’s t-shirts. Another type of two-headed monster…young love. Girlfriends at the beach. I have no idea what they’re looking at or what they are doing, but whatever it is, they’re all in it together, really close together. 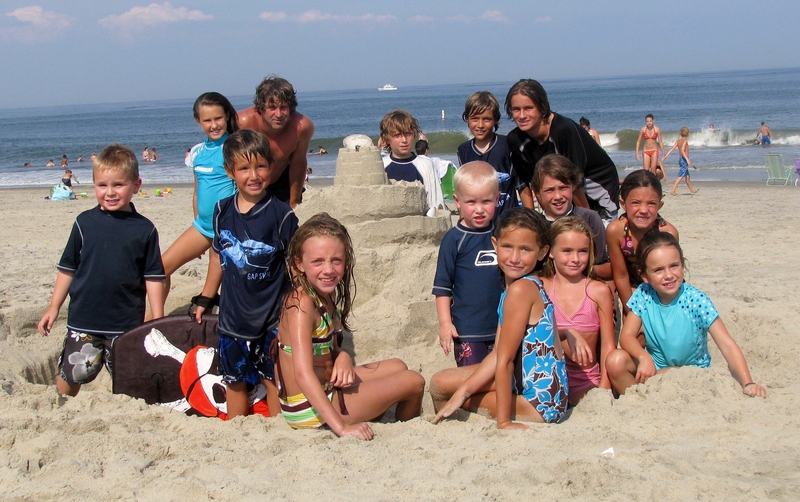 A group of the kids and their friends at the beach. Note that MacGyver, who built the sand castle, is included in the picture. He is one of the kids. The years go by, but he will remain forever young at heart. Not sure whose hair-do is worse, but, they’re in the bed…together, having a bad hair day…together! Do you have a favorite? Which one and why? I wish you a good weekend! Je vous souhaite un bon week-end! There are some good genes running through the Bebe brood. Wow. My fave is the last one…you nailed it with the “bad” hair day and seeing your little one in the bed with the dog is priceless. Thanks for commenting and for the laugh! I can imagine you, all dressed up, looking très chic, dry heaving near the wedding cake. Merci! I like the ones of the girls at the beach. Their concentration is so intense and they are united in it. Thank you for stopping by and taking time to comment. I like that one, too. I have another picture that I took of the girls in that position right after I took this one, but I called to them and asked them to look at me, and it’s not the same. Artistically, this one is much better. 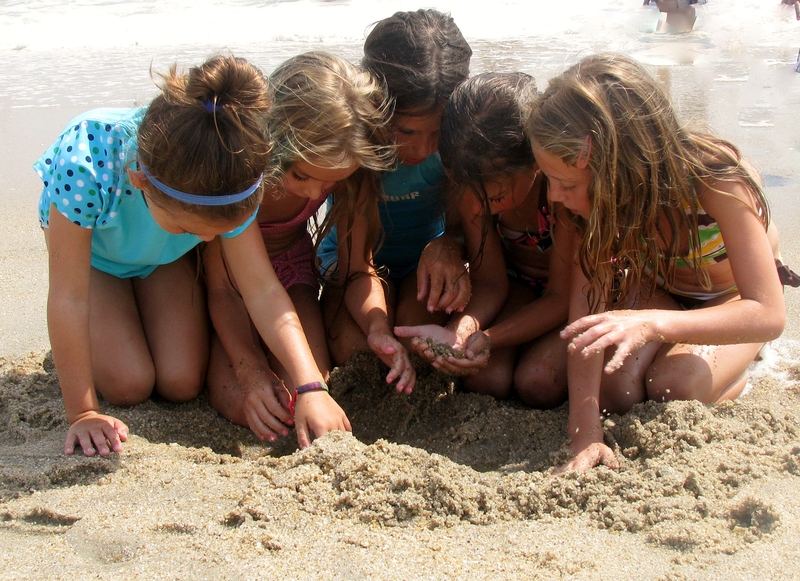 They are so focused on whatever minutiae they have found or are searching for in the sand. However, as a Mom, I had to make them look up so I could take one where I was able to see their faces, too. Merci! 1,978,602 – photos – amazing. I thought I was bad … *smile – through mine away instead of counting them … and I don’t regret! How will look at all my negative when I’m gone, I have never watched them. The “bad hair” is my favorite of yours … my personal favorite is a photo that hangs in my bedroom blown up and framed, pots on from a market in Barcelona or fishnets hanging to dry in Kinsale, Rep. of Ireland. The texture and the color makes me feel good every morning. I exaggerated the number of photos, but I do have so many that I cannot keep count. I take my camera everywhere and take photos almost every day. These two hang on my wall and make me smile, although they are not photos – The Helping Hand and Divan Japonais. My favorite painting, however, is this one. I love Spain – the warmth and the colors. Thank you for commenting. Merci! Thanks so much! 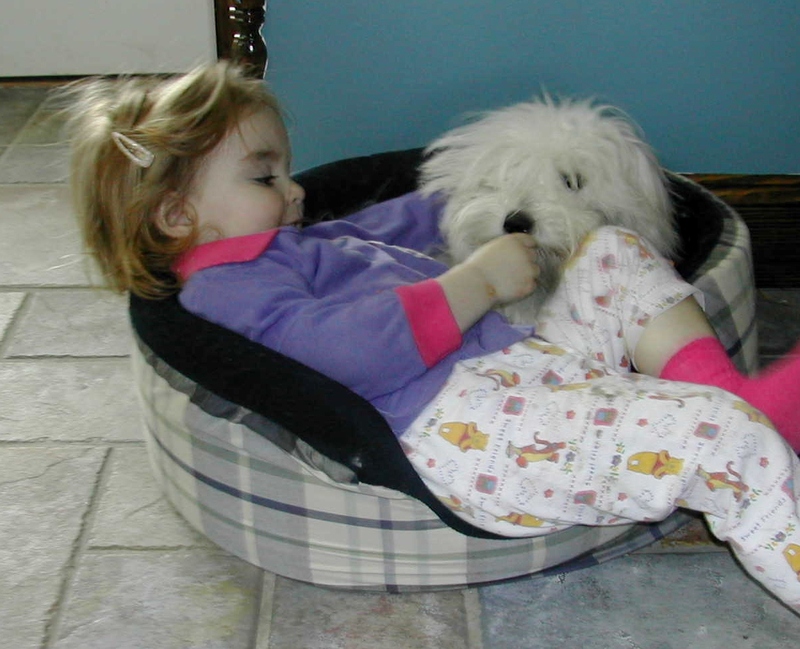 The child is older now and still gets into the dog’s bed with him when she wants to snuggle. They share a special bond. Merci! What a lovely concept: together. I think I like the one of the girls at the beach—they are together, but not posing for it. Thanks for commenting. I like that one as well. The girls are so focused and intent on whatever they are doing – I can’t remember what it was – that they don’t notice me with the camera. Merci!